Below is the writeup from HWBOT.org regarding the results of the March OC Madness contest. Original link can be found here. The first GIGABYTE sponsored contest of 2017 came to a close just a few days ago on OC-ESPORTS. 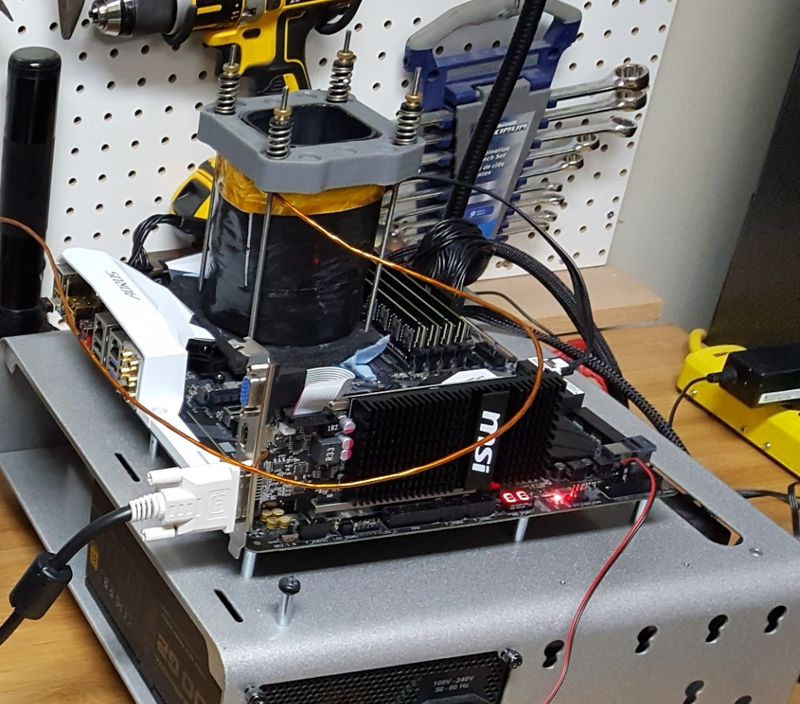 At the end of a month long contest that attracted some of the world’s most potent overclocking talent, we find US overclocker Splave sitting at the top of the table. In second place we have World Champion 2016 marc0053 from Canada, while in third place we find Belgian legend leeghhofd. 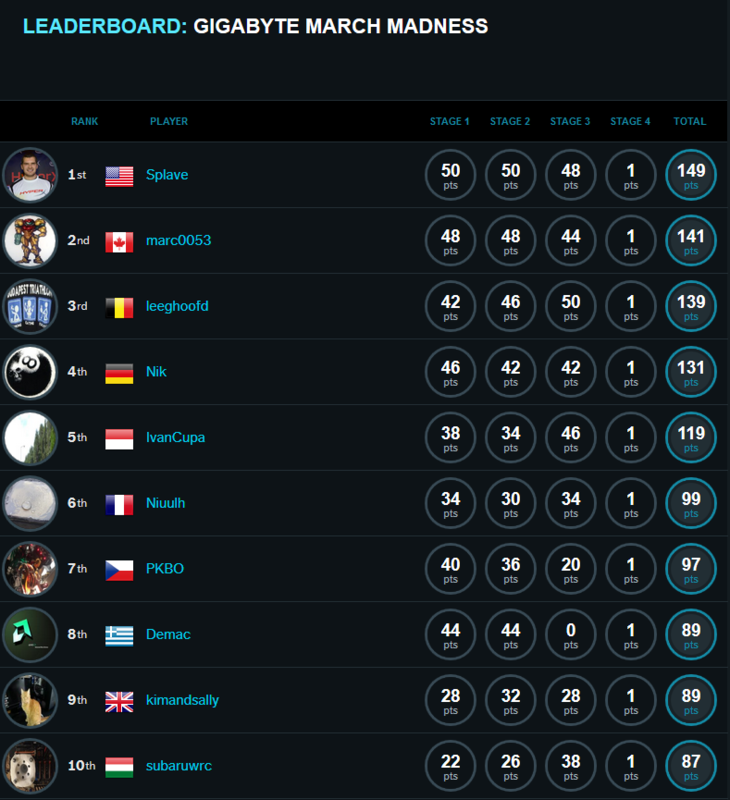 Let’s take a look at all the scores from the contest, the $2,500 USD prize pool on offer and the lucky prize draw winners. 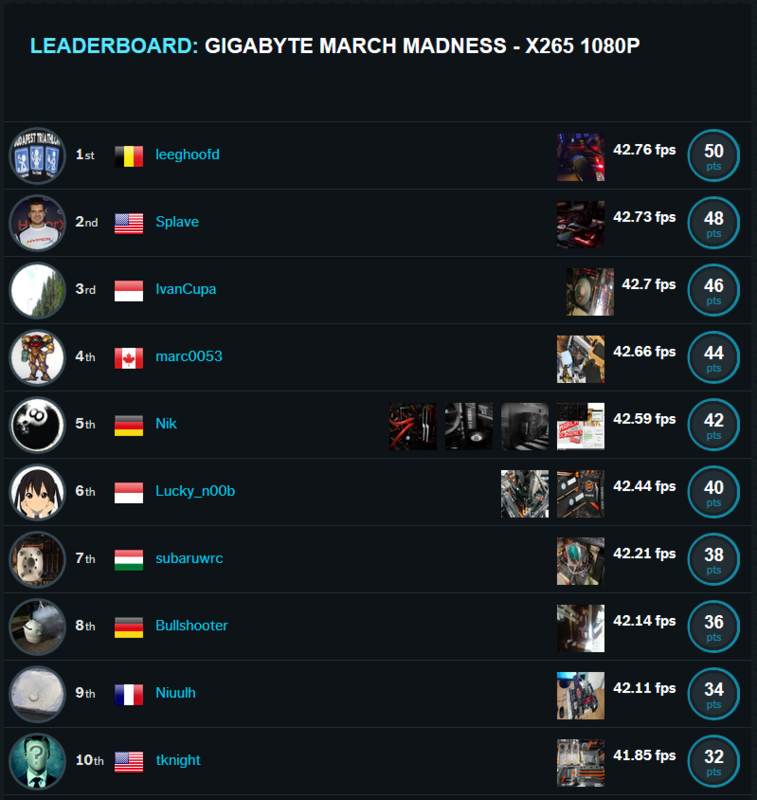 The March Madness contest from GIGABYTE, was open to Overclockers from all leagues on HWBOT. It spanned four individual stages with benchmarks chosen with the emphasis on CPU and memory performance. To make things more interesting and reduce the effects of the silicon lottery, the contest implemented a frequency cap of 5,003MHz. This meant that competing Overclockers had to find ingenious ways to tweak their systems beyond simply pushing CPU frequency. In terms of hardware restrictions, it was all pretty simple; any single-core, dual-core or quad-core processor on any GIGABYTE motherboard. The following benchmarks were chosen for each of the four stages. 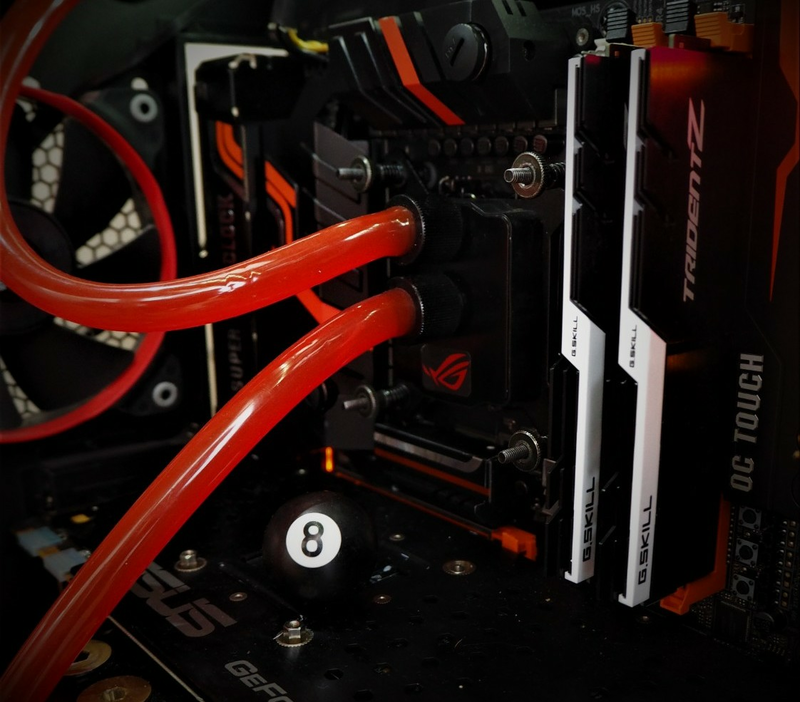 In Stage 1 overclockers were tasked with squeezing as much performances from their system to score as highly as possible in the 3DMark Time Spy benchmark, using the Physics score. Splave made his mark here, earning a first place finish with a score of 6,978 marks. The score was made using an Intel Core i7 7700K and a G.SKILL Trident Z DDR4 kit configured at 1,834.8MHz (13-13-13-28). 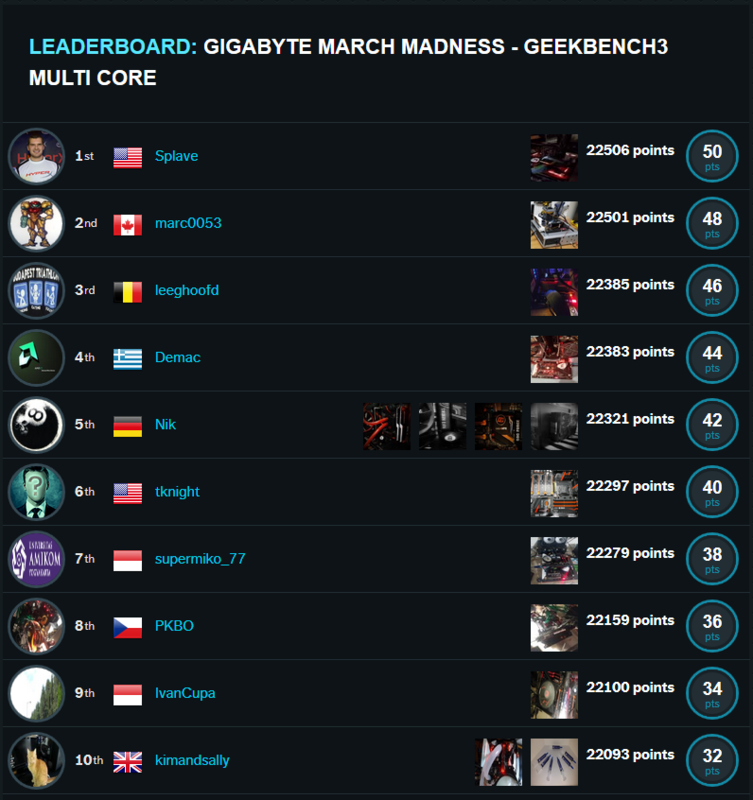 In Stage 2 of the contest we turn to the Geekbench 3 Multi-Core benchmark. 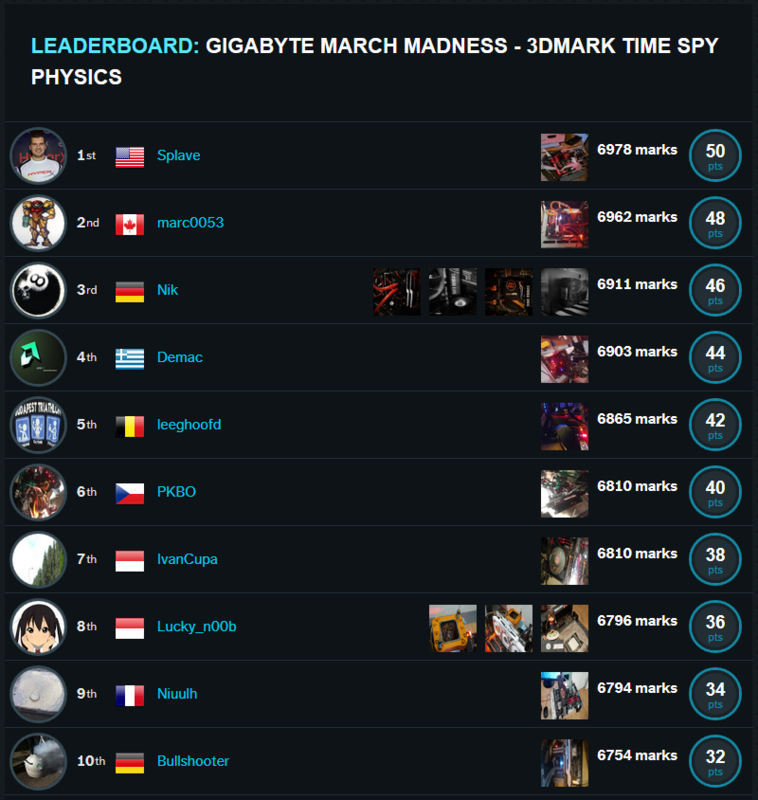 Once again the fastest overclocker proves to be that man again… Splave took first place with a score of 22,506 points. On this occasion he configured his G.SKILL DDR4 kit to 1972.1MHz using 12-12-12-28 timings. In second place we find marc0053 is the bride’s maid again, arriving in second place with a score of 22,501 points, while in third place leeghoofd makes an entrance on the scene with a score of 22,385 points. The HWBOT in-house developed x265 benchmark and its 1080p preset is the focus in Stage 3. This time the Belgian master leeghoofd makes a big splash with an outstanding score of 42.76 fps, quite a bit ahead of Splave who managed a score of 42.73 fps. 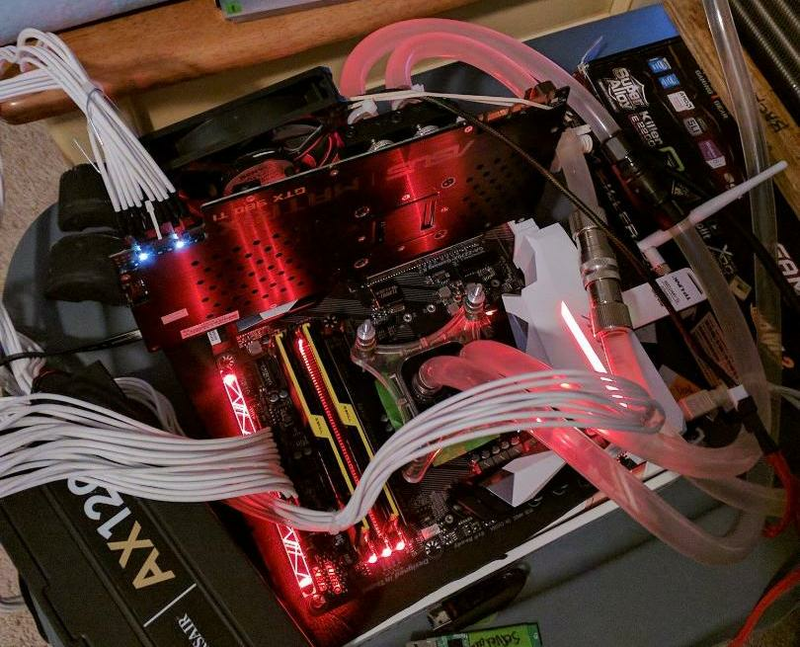 Leeghoofd used a GIGABYTE Z170X-SOC Force board with his G.SKILL Trident Z DDR4 kit pushed to 2,012.4MHz (12-12-12-28). Third place goes to Indonesia’s IvanCupa who managed a score of 42.7 fps. In the final Stage we’re focusing on the Intel XTU benchmark. The scoring was a little odd however with all submissions earning one point, regardless of score. For what it’s worth we find marc0053 finally arriving in top spot with a score of 1,787 marks. Nik arrives in second place with 1,785 marks while Splave has to make do with 1,783 marks and third place. A total of 60 overlockers took part in the contest, which might not seem the highest participation numbers for an OC-ESPORTS contest. 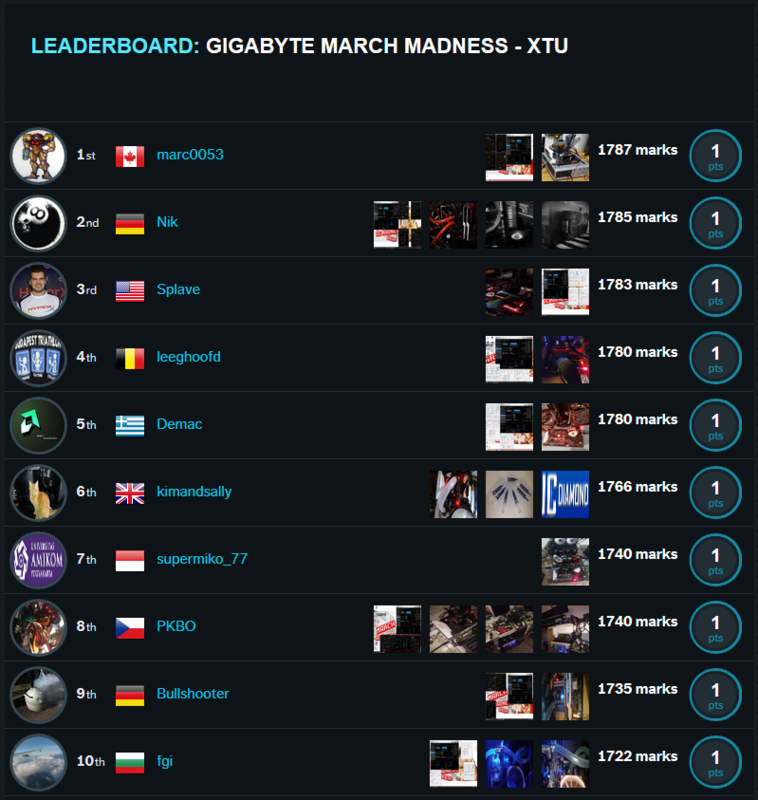 The GIGABYTE March Madness contest did however involve some the biggest names in overclocking with several of the world’s top Elite players taking part. This is great to see. A big thanks to all the overclockers who took part, and also to GIGABYTE for their valued support. We leave you with a mouth watering look at the great prizes that GIGABYTE are sending the contest winners. These winners also include Prize Draw winners, so if you took part, take a look. You might still be a winner. Great and detailed post. What is the criteria folowed for choosing the winners? When this event will take pace next time? The prizes are awesome. Best thing to do is create an account on HWBOT.ORG and get involved! while leeghoofd makes third spot with a haul of 139 points. Congratulations to US for ranked first in this context. That is true there hve been made incredible changes and improvements to technology with time whih has improved the speed and memory of Systems.